Washington Square Press is an imprint of Simon & Schuster, established in 1959 with a focus on paperback fiction, classic and contemporary. 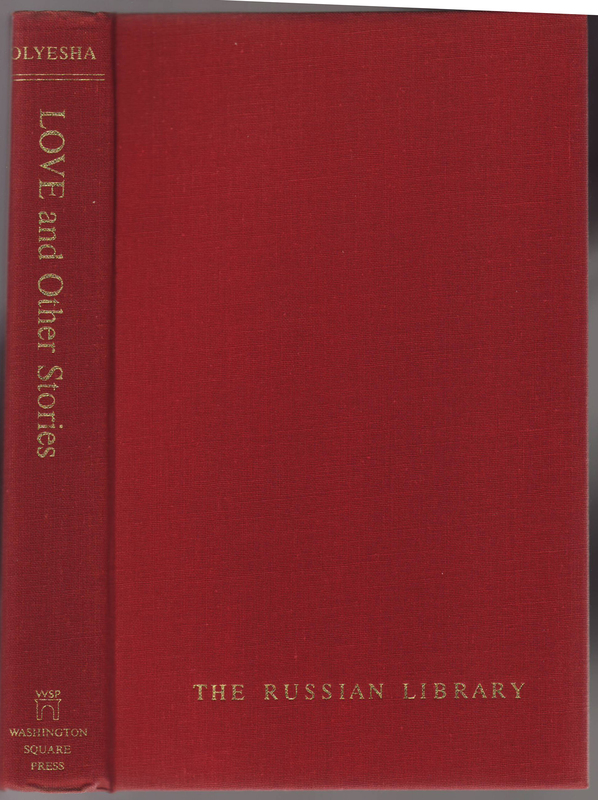 The Russian Library edited by Robert Payne was limited to six hardcover titles, published in 1967 and 1968. Most were lesser known works and a some had never been translated into English before. An additional six titles were announced, but apparently not published. Sister My Life, by Boris Pasternak. Translated by Phillip C. Flayderman. The Island: A Journey to Sakhalin, by Anton Chekhov. Translated by Luba and Michael Terpak. 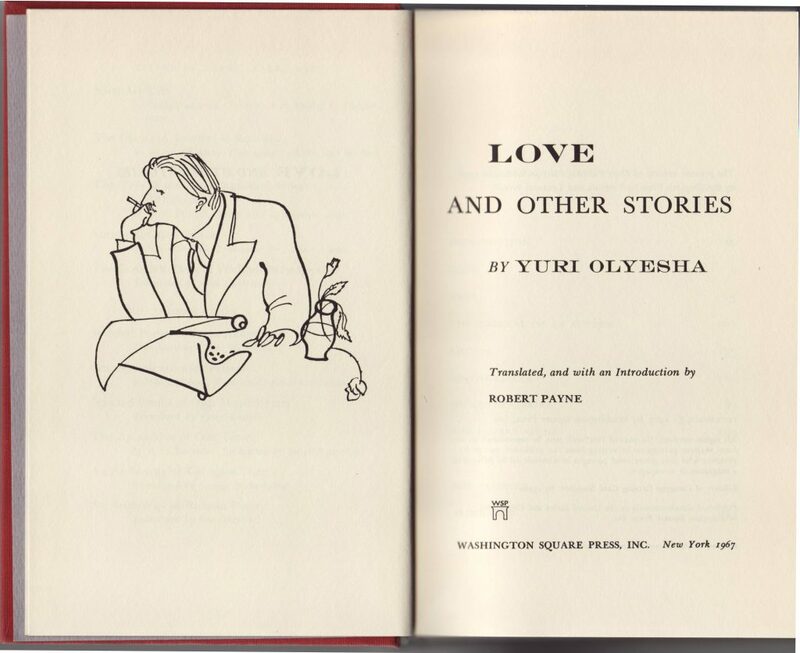 The Tale of the Unextinguished Moon and Other Stories, by Boris Pilnyak. Translated by Beatrice Scott. 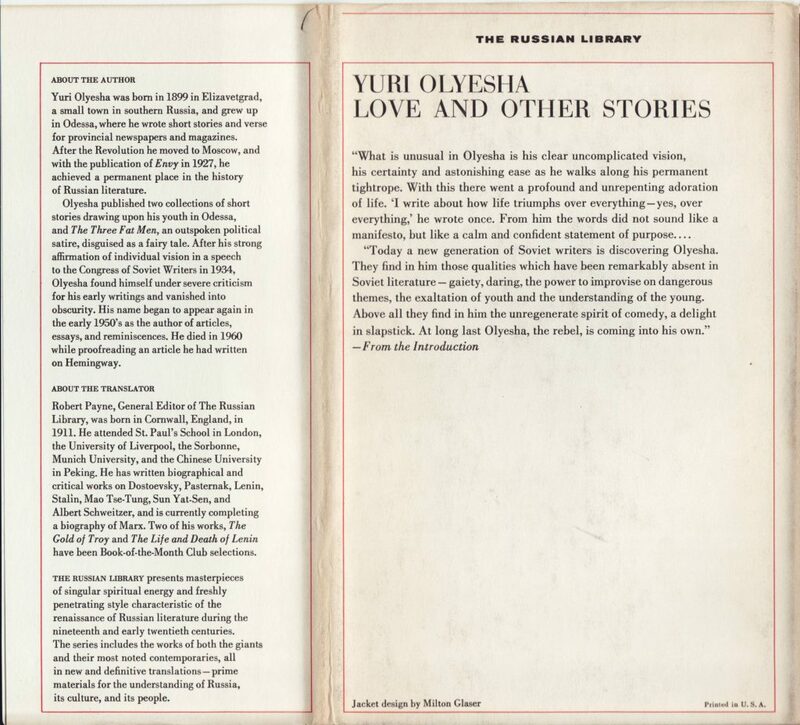 Love and Other Stories, by Yuri Olyesha. Translated by Robert Payne. The Complete Plays of Vladimir Mayakovsky. Translated by Guy Daniels. The Sunny Night, by Nodar Dumbaze. translated by George Nakashidse. 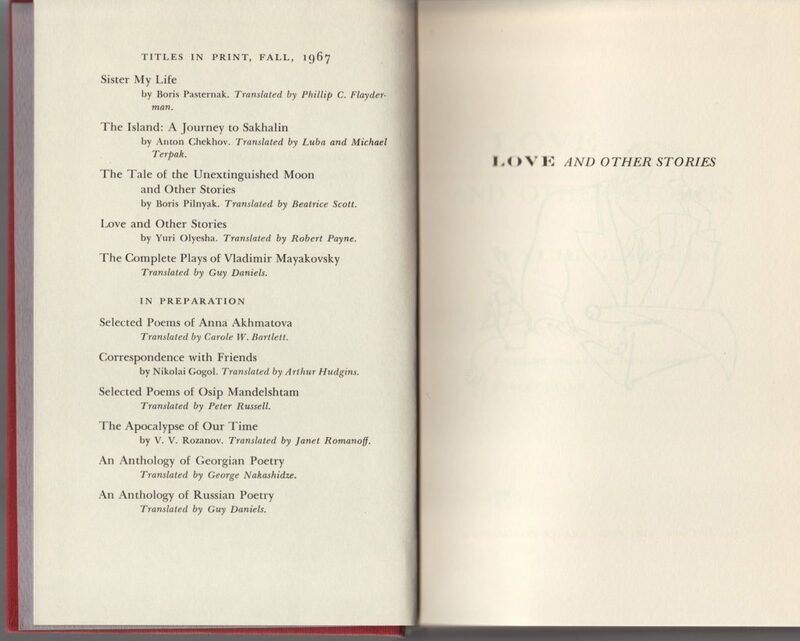 Selected Poems of Anna Akhmatova, Translated by Carole W . Bartlett. Correspondence with Friends, by Nikolai Gogol, Translated by Arthur Hudgins. The Apocalypse of Our Time, by V. V. Rozanov. Translated by Janet Romanoff. An Anthology of Georgian Poetry, Translated by George Nakashidze. An Anthology of Russian Poetry, Translated by Guy Daniels. Jackets were unique to each title. 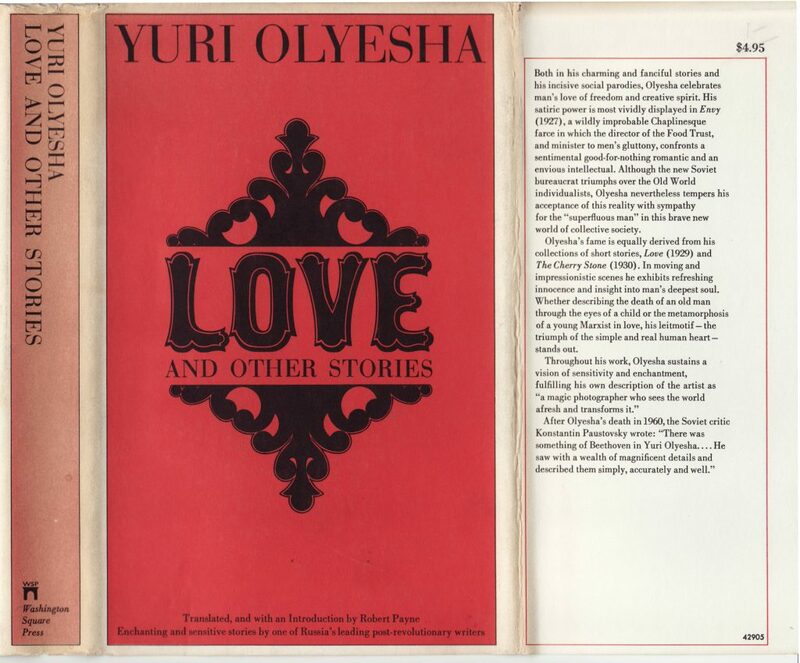 Yuri Olyesha’s Love and Other Stories is among the initial titles published in 1967. There is no indication of the series name on the spine, front, or front flap of the jacket. The front jacket flap describes the book and includes the price ($4.95). THE RUSSIAN LIBRARY presents masterpieces of singular spiritual energy and freshly penetrating style characteristic of the renaissance of Russian literature during the nineteenth and early twentieth centuries. The series includes the works of both the giants and their most noted contemporaries, all in new and definitive translations-prime materials for the understanding of Russia, its culture, and its people. The jacket designer, Milton Glaser, is indicated. Red cloth bindings with gold typography and the series name on the front of the book. The half title page is faced with a list of five titles in print, Fall 1967, with six forthcoming titles “in preparation.” None of the six forthcoming titles were published. 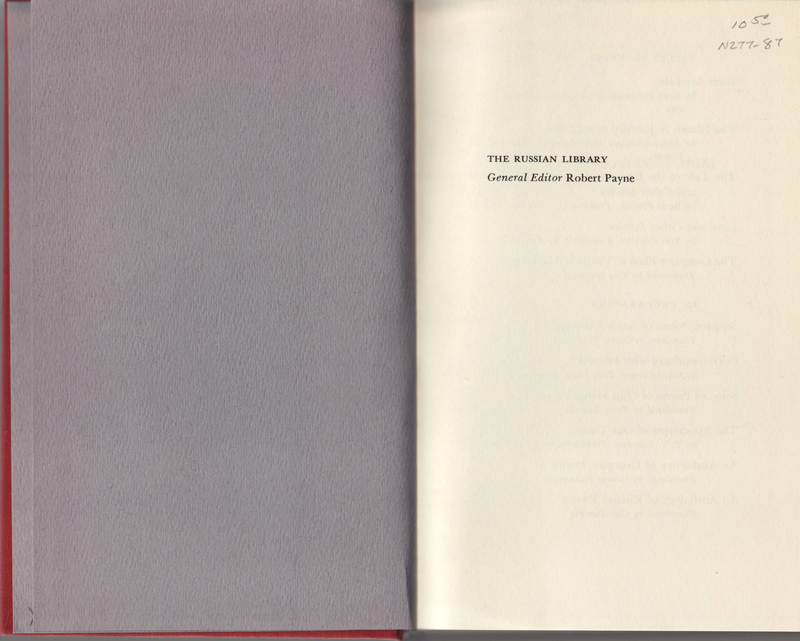 An illustration faces the title page, with the Washington Square Press imprint and 1967 date. 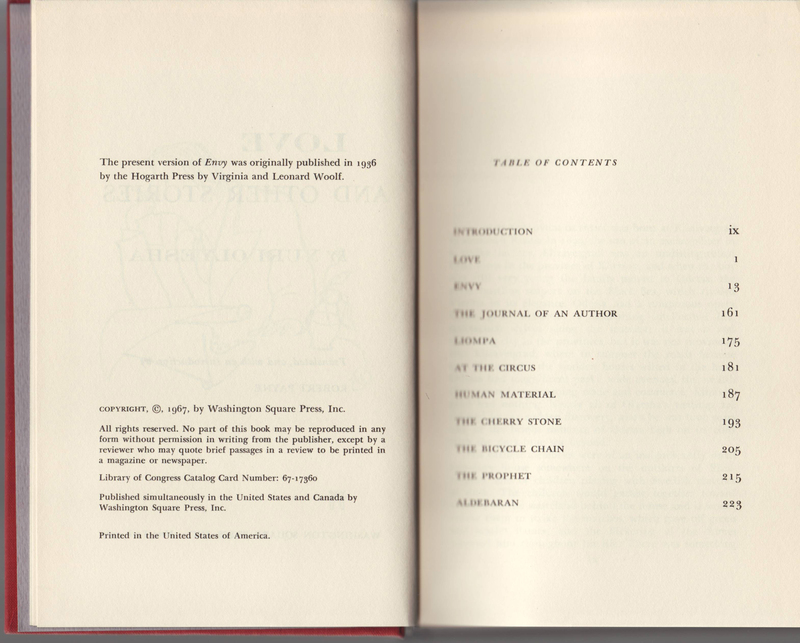 The copyright page indicates that one of the stories, Envy, was originally published in 1936 by the Hogarth Press.